Halloween Pagan to the core! In another "Why we do what we do series" articles, we will examine Halloween an why this day isn't as innocent as most of us believe. Today's holiday known as Halloween has its origins in the ancient Celtic festival known as Samhain. The festival of Samhain is a celebration of the end of the harvest season in Gaelic culture, and is sometimes regarded as the "Celtic New Year". Traditionally, the celebration was a time used by the ancient Celtic pagans to take inventory of supplies and slaughter livestock for winter stores. The ancient Gaels believed that on October 31, now known as Halloween, the boundary between the alive and the deceased dissolved, and the dead become dangerous for the living by causing problems such as sickness or damaged crops. The festivals would frequently involve bonfires, into which bones of slaughtered livestock were thrown. Costumes and masks were also worn at the festivals in an attempt to mimic the evil spirits or placate them. In pagan times often humans were burned in these bonfires along with cattle and other animals. In the 1950's and 60's the day was mostly a children's fun day but over the past thirty years, Halloween has become a holiday that is not just for kids any more. Halloween has fast become the party holiday of adults and parents. It ranks number two behind Christmas in decorations and annual sales within the United States. The term Halloween is shortened from All Hallows' Even (both "even" and "eve" are abbreviations of "evening", but "Halloween" gets its "n" from "even") as it is the eve of "All Hallows' Day",which is now also known as All Saints' Day. It was a day of religious festivities in various northern European Pagan traditions, until Popes Gregory III and Gregory IV moved the old Christian feast of All Saints' Day from May 13 (which had itself been the date of a pagan holiday, the Feast of the Lemures) to 1st November. In the ninth century, the Church measured the day as starting at sunset, in accordance with the Florentine calendar. Although All Saints' Day are now considered to occur one day after Halloween, the two holidays were, at that time, celebrated on the same day. Liturgically, the Church traditionally celebrated that day as the Vigil of All Saints, and, until 1970, a day of fasting as well. Like other vigils, it was celebrated on the previous day if it fell on a Sunday, although secular celebrations of the holiday remained on the 31st. The Vigil was suppressed in 1955, but was later restored in the post-Vatican II calendar. Therefore, you Protestants out there following the holiday, you are following yet another Catholic holy day that was adopted from paganism and nothing found in the Bible. The same applies to Sunday replacing the Sabbath, by the way. It was the Catholic church, hundreds of years after the first New Testament Pentecost that changed the Saturday Sabbath to Sunday. Catholics have every right to worship on Sunday's, non-Catholics do not! Unlike other paganized 'Christian' holidays, Halloween has no scriptural basis whatsoever! None, zero, Nada! It is a totally pagan day from start to finish that God condemns us to follow! Satan, the devil who is the god of this world (2 Corinthians 4:4), who deceives the whole world (Revelation 12:9), is the author of all these days. Ironically, Satan wears the greatest costume of all, masquerading as an Angel of light (2 Corinthians 11:13-15). Jeremiah 10:2 (King James Version) "Thus saith the LORD, Learn not the way of the heathen, and be not dismayed at the signs of heaven; for the heathen are dismayed at them." Scripture also records God’s command: "When you come into the land which the Lord your God is giving you, you shall not learn to follow the abominations of those nations. There shall not be found among you anyone… who practices witchcraft, or a soothsayer, or one who interprets omens, or a sorcerer, or one who conjures spells, or a medium, or a spiritist, or one who calls up the dead. For all who do these things are an abomination to the Lord" (Deuteronomy 18:9–14). The Bible clearly forbids dabbling in witchcraft and the occult and idolatry, but the Israelites ignored these instructions. Israel incurred God’s wrath because its people "practiced witchcraft and soothsaying, and sold themselves to do evil in the sight of the Lord, to provoke Him to anger" (2 Kings 17:17). America, it is time to wake up. We cannot continue to disobey God and enjoy peace and freedom and prosperity. If we are true to obey God, God will be true to forgive our sins and to bless us before the world! Start reading your Bible! Learn what it is that your God wants you to know. The God who created you wants you to be their friends! Both the Father and the Son are God (John 1) and have invited us into their family! Is the Devil Your Scapegoat? In an interview on Kentucky WHAS radio’s “Leland Conway Show,” Sen. Rand Paul (R-KY) warned against Democrats like Sen. Cory Booker (D-NJ) and Rep. Maxine Waters (D-CA) calling for people to confront Republicans in public. Relevant portion begins around the 8:05 mark. Paul went on to say he fears there will be an “assassination” as a result of the rhetoric coming from lawmakers like Booker and Waters. “I really worry that someone is going to be killed and that those who are ratcheting up the conversation. They have to realize that they bear some responsibility if this elevates to violence,” he added. Pittsburgh authorities have released the identities of all 11 victims, aged 54 to 97, who were gunned down by suspect Robert Gregory Bowers while worshiping at a synagogue on Saturday morning. 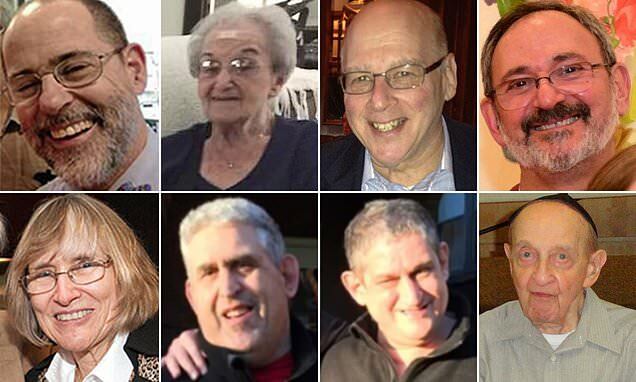 Jerry Rabinowitz, 65, Rose Mallinger, 97, Daniel Stein, 71, Richard Gottfried, 65, Joyce Fienberg, 75, Cecil Rosenthal, 59, David Rosenthal, 54, and Melvin Wax, 88, (left to right) were among those killed. Bernice Simon, 84, Sylvan Simon, 86, and 69-year-old Irving Younger were also identified as victims by Chief Medical Examiner Dr Karl Williams Sunday morning. David and Cecil Rosenthal were brothers and Sylvan and Bernice Simon were husband and wife. Stein had recently become a grandfather and Gottfried was a dentist. Bowers killed the victims inside the Tree of Life Synagogue on Saturday during worship services before a tactical police team tracked him down and shot him, police said in an affidavit. As the US Media is only interested in FAKE NEWS and down right liars like Woodward, you can read THE REAL NEWS HERE! IMAGE CREDITS: GNU DOYNG / WIKIMEDIA COMMONS. "Trick or treat," we've all heard that, haven't we? Has anyone ever figured out, that not only is Halloween pagan to the core, it also is a study in Democratic Party propaganda and education. "Trick or treat," simply means to give me something that I want, or I will do you harm. Jesse Jackson has made a fortune "tricking in treating" himself. So has the Rev. Al Sharpton and of course the infamous ACORN! I guess maybe the real reason that liberals love this holiday more than any holiday that we celebrate America, is that it is the closest holiday which represents the way they run their lives. To these liberal, un-American, amoral, immoral and totally dishonest politicians and cohorts, Halloween and the practices of this holiday is exactly excellent training ground for tomorrow's liberal terrorist. So when you send your child out tonight, in ghoulish costumes, representing the devil and all the evil in the world, and in your child promises to trick someone if they don't get "treated" sends a message to your child more frightening than the holiday itself. The message your child gets is that in order to get a free lunch, one must be willing to practice terrorism, or at least threaten it. Halloween is not an innocent holiday for us to observe and to enjoy. It is not harmless either. Each year hundreds of children are injured and maimed by sick people that put razor blades, Needles and pins inside candy treats. How in good conscience can you allow children to go to strangers' homes, and accept anything that they will eat? If that is not child abuse I don't know what it's. It's time this country gets serious about its lack of morals, and its lack of godliness. Wake up, read the articles on The Plain Truth, and put a stop to this harmful pagan holiday. Construction has resumed on the Titanic II after an ongoing financial dispute. The new boat will feature the same cabin layout as the original to mimic its 'overall aesthetic', including formal dining rooms, a grand staircase, a smoke room, and a Turkish bath. 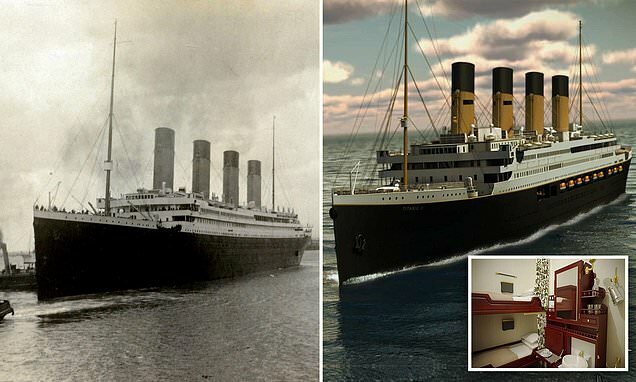 The ship will also be able to fit nearly the same number of passengers as the original - but this time there will be far more lifeboats, just in case it meets a similar fate as the doomed ship that hit an iceberg and sunk in 1912, killing 1,500 people. Driving under the influence -- whether of alcohol or drugs -- continues to be an area of concern. According to the Centers for Disease Control and Prevention, over one million drivers were arrested in 2016 for driving under the influence of either substance. The agency also reported that marijuana use among drivers is on the rise -- increasing by 13 percent in the last year. A new study that was recently published in De Gruyter’s Journal of Drug Policy Analysis explores the increase in driving under the influence of marijuana, as well as possible options available for testing THC levels. 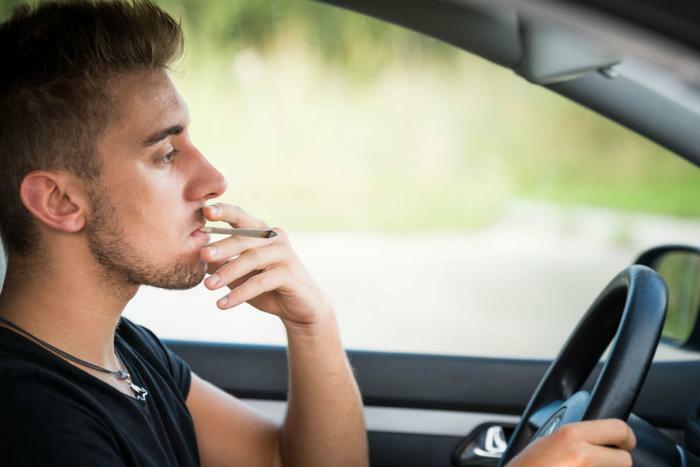 As more states across the country legalize marijuana use, the researchers believe it may lead to more instances of people driving high. While there are several risk factors associated with driving under the influence, slowed reaction times and impaired depth perception and spatial judgment are some of the major concerns. In addition to more stoned drivers, the researchers were interested in finding reliable ways to test drivers’ THC levels should they get pulled over. While breathalyzer tests are the most common -- and accurate -- way to determine a driver’s blood alcohol level, doing the same with weed proves to be more difficult. The researchers suggested an oral fluid drug test as one such way to measure THC levels. This would involve getting a saliva sample from the driver and analyzing the drug levels. However, the report notes that these tests don’t measure specific levels -- just the presence or absence -- of drugs in the saliva. An alternative would be a blood test, which would be able to assess how much marijuana is in the bloodstream. However, that would have to be performed by a trained medical professional in a medical facility -- which isn’t realistic for drivers getting pulled over on the side of the road. Additionally, the researchers note that THC levels drop rapidly in the blood, and would therefore pose the same concerns as the oral fluid test. It would be difficult to determine the level of impairment based on a blood test. One potentially successful method would be a gaze test. The researchers explain in their report that several drugs -- including marijuana -- produce tiny movements in the eyes while the person under the influence attempts to stare straight ahead. While this method is still being tested, many law enforcement officials rely on field sobriety tests, which the researchers say can get tricky, or one of the chemical tests discussed above that may not produce the most accurate results. Lax oversight of outpatient centers allow deaths and serious injuries to go unexamined. An investigation by Kaiser Health News and the USA TODAY Network discovers that more than 260 patients have died since 2013 after in-and-out procedures at surgery centers across the country. More than a dozen — some as young as 2 — have perished after routine operations, such as colonoscopies and tonsillectomies. We live in a frantic, pressure-packed world full of trouble. Everything seems to be happening at a faster pace than ever, and millions of Americans are now suffering from stress, anxiety and sometimes even depression because of it. The news itself confirms it. A recent story from U.S. News and World Report blared the headline, "Stress Is Keeping Americans Up at Night." It has the results of a survey by Bankrate.com indicating a stunning 69 percent of Americans say they occasionally lose sleep due to something they're worried about. Yes, about seven in every 10 people. The top fret-maker for many people is relationships, with 41 percent in the survey saying it keeps them up at night. A close second at 36 percent was financial concerns preventing people from plunging into a good night's sleep. After relationships and money concerns, 30 percent of people say work stresses them out, followed by 28 percent blaming health, and 14 percent indicating politics was causing their insomnia. The research indicates issues surrounding the family are especially worrisome, as they're "the biggest source of stress among people who lose sleep because they're up thinking about their relationships." "If you're economically secure but someone in your family is not, you might worry about what's going to happen to them," says Jennifer Ailshire, a University of Southern California professor who has studied the tie between poor sleep and family relationships. "You could have worries from a relationship because you're actually in conflict with someone. Or it could be a very good relationship, but you're concerned about a sibling or a parent or an adult child who themselves are going through either economic hard times or their own relationship issues or maybe health scares in their life." Meanwhile, college students are pressing the panic button more than ever. The College Fix reports "the number of college students looking to counseling for help for mental health struggles is drastically increasing across the nation, according to studies, campus counselors, and many recent news reports." "Data over the past five years from counseling centers nationwide have shown that the top two reasons students come for counseling are anxiety and depression," Karen Nakayama, director of the Counseling Center at Fort Lewis College in Durango, Colorado, told the Fix. "Currently, anxiety is number one and depression is second. In the past, depression was first and anxiety was second," she said. No matter what people are concerned about, it seems like worrying is on the rise. But can it be stopped, or at the very least, reduced in some measure to get people back to sleeping normally? The advice from the Bankrate survey may seem typical. It quotes Brad Klontz, associate professor of practice at the Financial Psychology Institute, who says writing about what's worrying you can help. 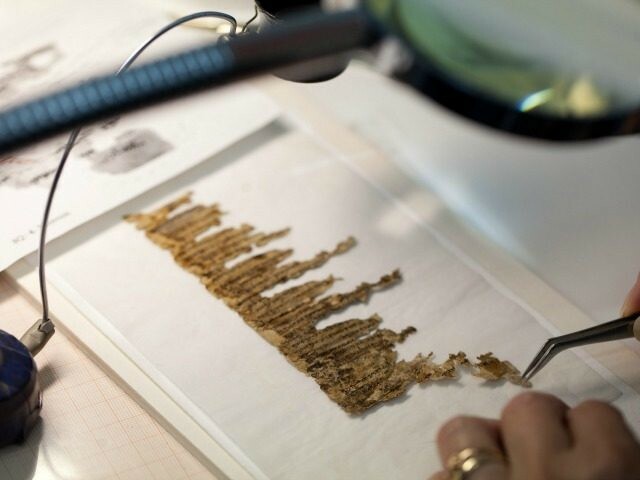 "Dump this stuff from your brain onto paper. And I think part of us relaxes when we believe that maybe we're perhaps going to take some steps to fix this stressor," Klontz said. "Get over the shame, come up with a list of things you need to do and then start asking for help." Ailshire at USC suggests other ways to calm you down before bed, including exercise, yoga and even meditation. Those ideas may work for you and they may not. But the obvious and best answer to the problem of our personal fears and anxiety is rarely, if ever, mentioned in today's news stories. Perhaps because it involves the G-word. It's a word that some people find more offensive than the F-word or the N-word. And what is the G-word? The word is God. Yes, folks, your very own Designer and Creator actually has quite a bit to say on the matter of anxiety and stress, but many people don't know about it, don't put it into practice or outright reject it because it comes from the Holy Bible. So let's crack open the Good Book and see what it has to say. King David wrote many of the Psalms, which are actually songs, and he was personally familiar with severe cases of stress and anxiety. 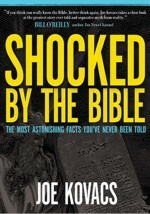 Just imagine how many sleepless nights he endured dealing with his adulterous affair with Bathsheba, her subsequent pregnancy and his secret plot to kill her husband Uriah the Hittite, not to mention the agony he went through not knowing if Bathsheba's child from his sinful union would die or not after being stricken by God. (The child did die.) All that would make anyone quake. So there is no doubt the Word of God is familiar with what human beings go through at their most turbulent times. Anxiety and fear are serious problems, and can be extremely distressing. But there are numerous statements from your Maker that can help us deal with anxiety when it does strike. Interestingly, yoga, exercise and writing down one's worries are hard to find in Scripture as cures for the problem. So David does acknowledge his fear, but immediately notes that when he's afraid, he will trust in God to help. It's no secret that "In God We Trust" is one of America's mottos, but do we really trust in Him? Or do we merely claim to? The Bible is replete with statements urging us not to fear, because fear does not help relieve stress or anxiety. It only makes the situation worse. "Therefore I tell you: Don't worry about your life, what you will eat or what you will drink; or about your body, what you will wear. Isn't life more than food and the body more than clothing? "Consider the birds of the sky: They don't sow or reap or gather into barns, yet your heavenly Father feeds them. Aren't you worth more than they? "Can any of you add one moment to his life-span by worrying? "And why do you worry about clothes? Observe how the wildflowers of the field grow: They don't labor or spin thread. "Yet I tell you that not even Solomon in all his splendor was adorned like one of these. "If that's how God clothes the grass of the field, which is here today and thrown into the furnace tomorrow, won't he do much more for you ​-- ​you of little faith? "For the Gentiles eagerly seek all these things, and your heavenly Father knows that you need them. "But seek first the kingdom of God and his righteousness, and all these things will be provided for you. By calling people "you of little faith," Jesus is saying that if we're constantly worried and anxious, we actually have very little faith. God clearly takes care of the animals and flowers, and says we're worth much more than those parts of creation. And our Father in heaven knows we need to have nourishment and clothing. The solution is to seek the kingdom of God and the righteousness of God, and all our needs will be provided. In other words, our top goal must be entrance into His eternal kingdom, and He'll gladly give us everything we need. This is not only a directive against fretting, but it also tells us to have direct discussions with God in prayer, letting Him know what's on our mind and what we'd like Him to do. That's when the supernatural peace of God becomes divine protection for our hearts and minds, allowing us to experience tranquility. What he is saying is that when we become followers of God and receive the Spirit of God in us, we won't be afraid, because God's Spirit is not one that causes us to be afraid. Instead, because we receive power, love and sound judgment, our hearts and minds with be filled with those better things, instead of being afraid all the time. In the final book of the Bible, in Revelation 21:8, it actually states that "the fearful" or "cowards," depending on the translation, will join murderers, idolaters, liars, the sexually immoral and those who practice witchcraft in the lake of fire, which is the second death. This is serious stuff, a matter of eternal life or eternal death. Thus, we all need to make every effort to stop being afraid, and put our complete faith and trust in the One who is with us, strengthens us and helps us. We need to stop rebelling against God's instructions and instead become His obedient children. Then, He will grant us the peace of God which surpasses all understanding, and we can have our minds at rest, enabling us to get the physical sleep we all need. The division of America has led more than 30 per cent of US citizens to believe that a second civil war is on the horizon, according to a new poll. Rasmussen Reports surveyed a total of 1,000 Likely Voters on June 21 and June 24, 2018. 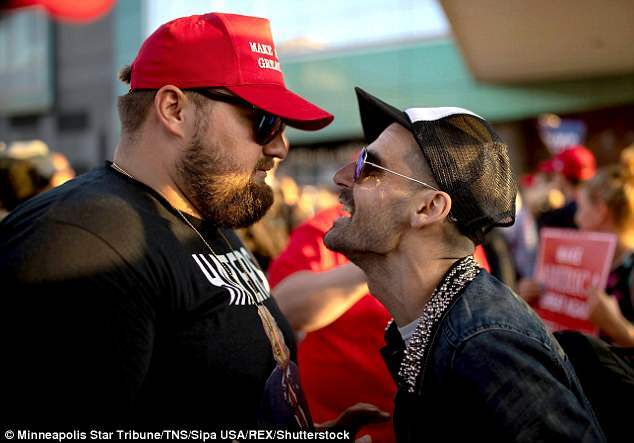 The poll revealed that 31 per cent of Americans believe that the US will experience a second civil war within the next five years. 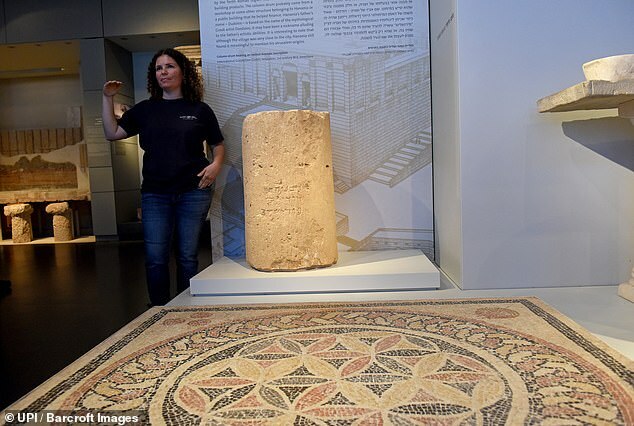 The Hebrew spelling of the city - pronounced Yerushalayim - is the same today.